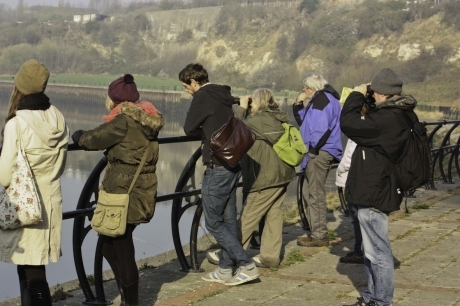 This circular walk with artist Mike Collier and natural historian Keith Bowey meandered along the banks of the River Wear, crossing the Wearmouth and Queen Alexandra Bridges. It celebrated the diversity of flora and fauna within our urban environment linking it to the hidden histories of past social and industrial activity. The early start enabled you to listen to birdsong before the traffic noise of the day begins. 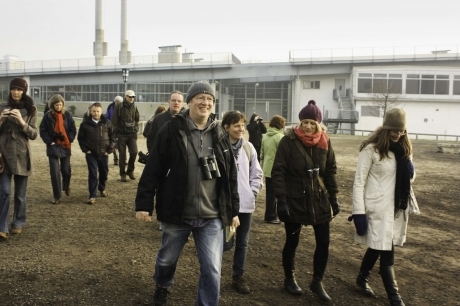 Mike Collier is a lecturer, writer, curator and artist. He studied Fine Art at Goldsmiths College and was Gallery Manager at the ICA in London. He subsequently became a freelance curator and arts organiser, working extensively in the UK and abroad. 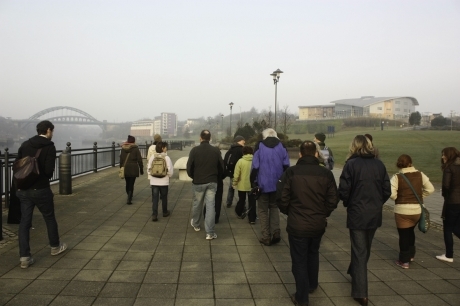 In 1985 he moved to Newcastle to run the Arts Development Strategy at the Laing Art Gallery, where he initiated the Tyne International Exhibition of Contemporary Art. For the last 15 years he has worked in education and is currently Programme Leader for Foundation Studies in Art and Design at the University of Sunderland. Throughout his career, he has maintained his artistic practice and he is now based in the High Bridge Studios in Newcastle. He has shown work in a number of one person and group shows in the UK. Curated by AV Festival 12. With thanks to the University of Sunderland.